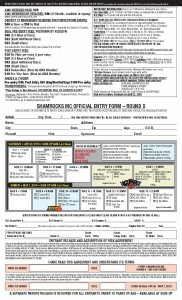 Race weekend is approaching quickly, sign up early and save some time and money. 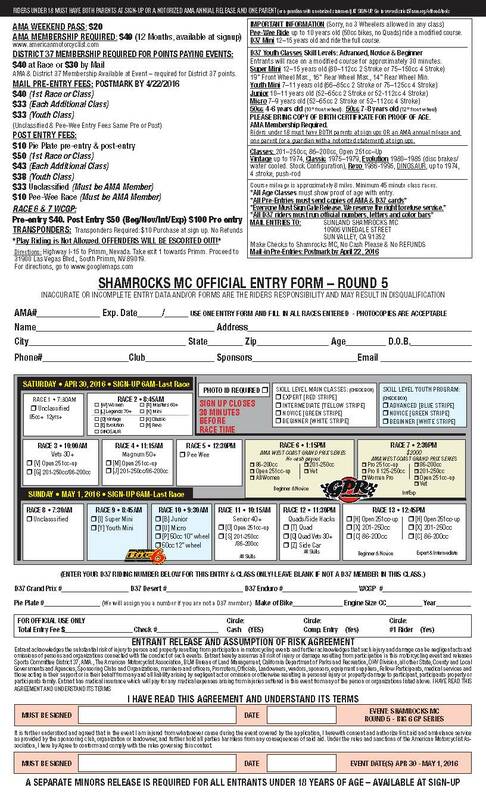 Mail-in pre entries must be postmarked by April 22, 2016. Pre entry can also be done on the Big6 Website through Xtrm Sports Network. 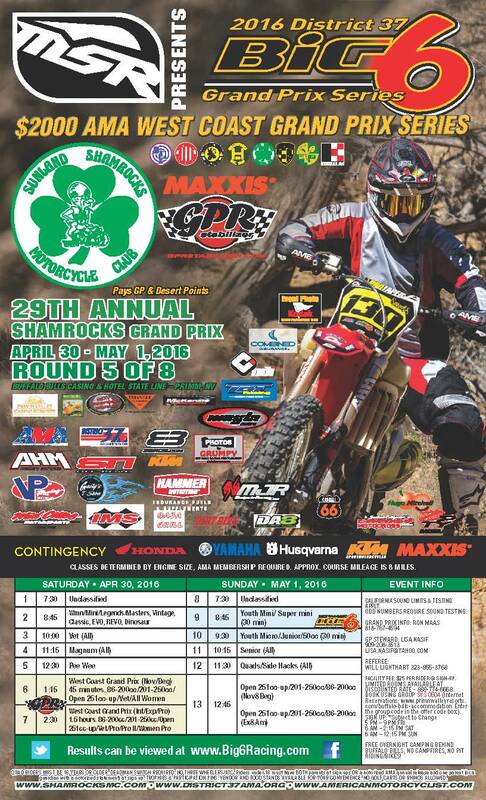 It’s time once again for the Sunland Shamrocks MC Desert Race on the weekend of September 21 & 22, 2013 at The Slash X Ranch/Cafe. This year we will be changing up the format again for even more racing fun. Dual European Scrambles on Saturday and Desert Scrambles on Sunday. Saturday’s Euro Scrambles will also be a Best of the West event this year. As always there will be free camping behind the Slash X or if you so choose , you can camp at Sunday’s Pit Row. 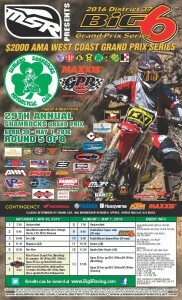 The date is approaching fast for the 27th annual Shamrocks Grand Prix at Primm, Nevada. We have a little less than four weeks to go and it is shaping up to be another fun filled weekend for all. As last year, Endurocross and Supercross fall on the same weekend providing plenty of racing activities after doing a few laps on the GP course at Buffalo Bill’s. Of course there is plenty of shopping for the ladies at the Outlet Mall and the Roller Coaster for the kids of all ages. For those of you with gambling skills, there are plenty of ‘adult games’ in the casino. 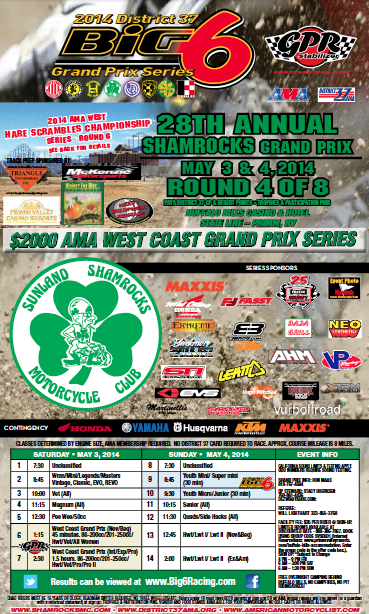 The final round of AMA Supercross will be on all the tv’s at the Tree Bar on Saturday evening. 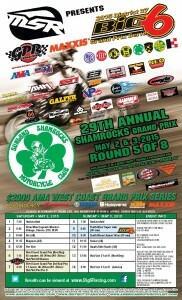 Make your plans now for another great weekend with the Sunland Shamrocks M.C..
Free camping area behind Buffalo Bill’s. If you are planning on staying in the hotel the discount code is, SSSR513. Call the reservation desk at 888 386-7867, don’t delay the discount expires this friday, April 12th.